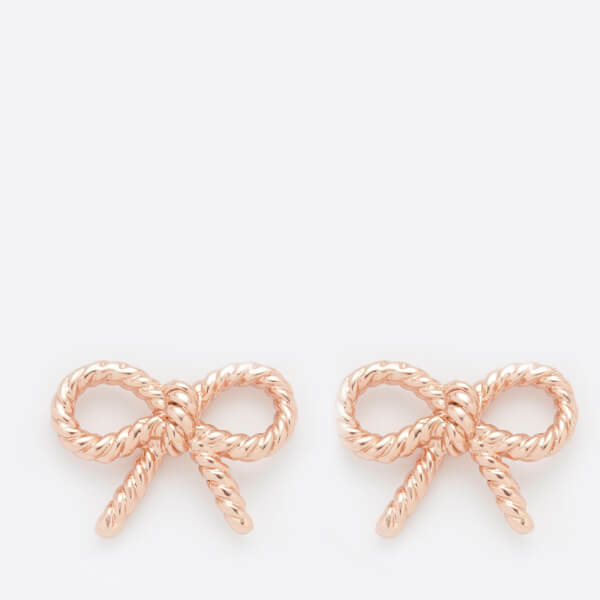 Vintage-inspired bow stud earrings from Olivia Burton. Crafted in sterling silver plated with rose gold, the delicate studs add a touch of romance to any outfit. The earrings come beautifully presented in a branded Olivia Burton gift box.